There is a common misconception about GFCI without ground installations, so let me clarify it for you. You might have an older house with electrical wiring that hasn’t been updated. You decided to replace an existing electrical outlet receptacle in your bathroom, kitchen, garage, etc. with a GFCI outlet. However, there are only two wires inside the electrical junction box – no ground, and no easy way to install additional conductor, which would provide grounding. 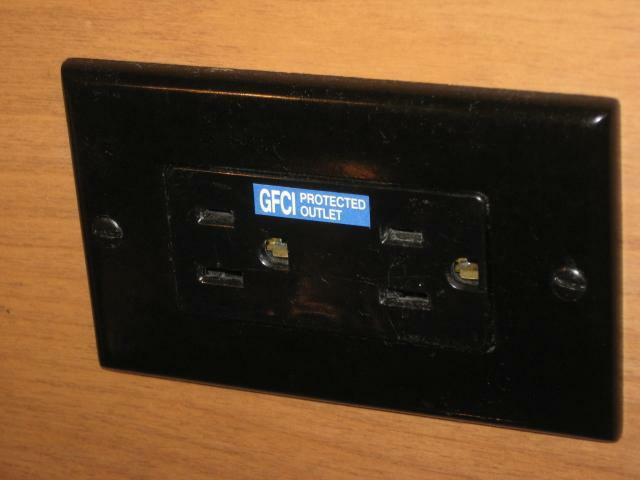 Whenever you’re replacing an electrical outlet receptacle in an area currently requiring GFCI protection, such protection must be provided by using a GFCI outlet receptacle or by protecting this particular circuit by a GFCI breaker – it’s mandatory. Lack of a grounding conductor is definitely a negative, but good thing about GFCI outlets is that: equipment grounding is not required for their installation and for the device to function properly. The grounded person becomes the equipment grounding conductor, and the current going through them creates the imbalance that trips the GFCI. So, in our “GFCI without ground” case, those installed GFCI receptacles (if wired properly) will perform as required by code when tested with their push-buttons. A testing device used on such GFCI outlet will show “open ground”, and it would not trip the device. Be extremely careful while testing a GFCI outlet or any receptacle with a metal trim plate. If it happens to be a GFCI without ground, or the circuit not properly (or at all) protected by a GFCI device, and you accidentally touch that metal plate while pushing test button, you might get shocked. By depressing the test button on a GFCI without ground, the metal cover plate would be energized, and if by any chance you are touching another grounded surface…, it’s going to hurt. However, to fully comply with NEC requirements in cases where no equipment ground is present, the installed GFCI without ground MUST be marked “No Equipment Ground”. Any receptacles down the stream from it / protected by this GFCI, must have two labels on its face-plate: “GFCI Protected” and “No Equipment Ground”. Below are the 2008 edition NEC (National Electrical Code) requirements for the GFCI without ground installations. A non–grounding-type receptacle(s) shall be permitted to be replaced with another non–grounding-type receptacle(s). A non–grounding-type receptacle(s) shall be permitted to be replaced with a ground-fault circuit interrupter type of receptacle(s). 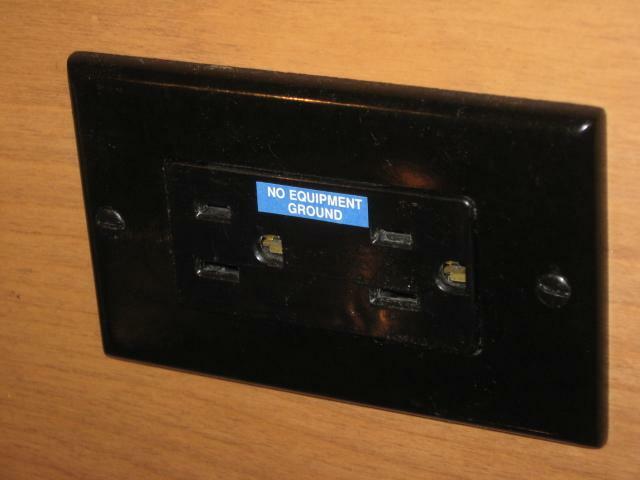 These receptacles shall be marked “No Equipment Ground.” An equipment grounding conductor shall not be connected from the ground-fault circuit interrupter-type receptacle to any outlet supplied from the ground-fault circuit-interrupter receptacle. A non–grounding-type receptacle(s) shall be permitted to be replaced with a grounding-type receptacle(s) where supplied through a ground-fault circuit interrupter. Grounding-type receptacles supplied through the ground fault circuit interrupter shall be marked “GFCI Protected” and “No Equipment Ground.” An equipment grounding conductor shall not be connected between the grounding type receptacles. If you need more explanation on GFCI without ground installations, let me know, and Be Careful!